EXCLUSIVE POSTER PRINT! HAND SIGNED! LIMITED EDITION! THE HOLE OF TANK GIRL. Limited to 250. HAND SIGNED. Pin-sharp artwork on 250gsm cardstock with a matt finish. This will be the only chance of acquiring this artwork as a print or poster. Non-UK residents please check the Worldwide box to search on eBay. Previous Previous post: THE HOLE OF TANK GIRL – OUT TODAY! 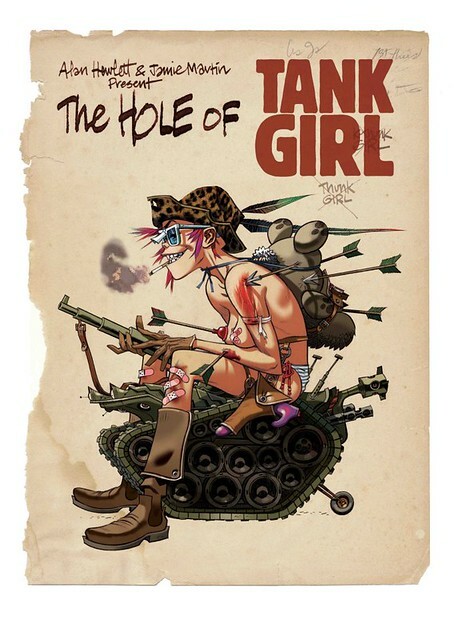 Next Next post: TANK GIRL POSTER MAGAZINE #2 – NOW ON SALE!